Eat. Live. Laugh. and sometimes shop! : Get the picture? Love the ingenuity of this. And the vintage / modern juxtaposition of the resulting image. 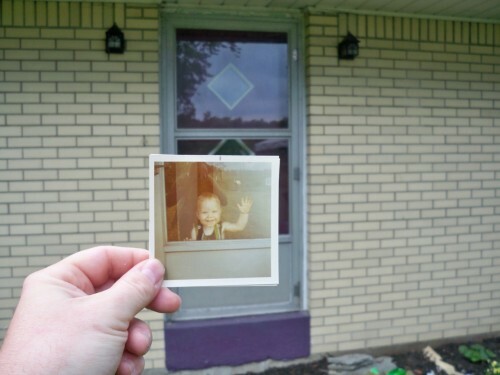 I would love to try this with one of our old "first day of school" photos taken on the front porch of our old family home. See more at Dear Photograph.